But what if you want to share more than one Space? What if - for an important client meeting or presentation - you wanted to share two Spaces? Or three or ten? Would you send 10 different links, one for each location? 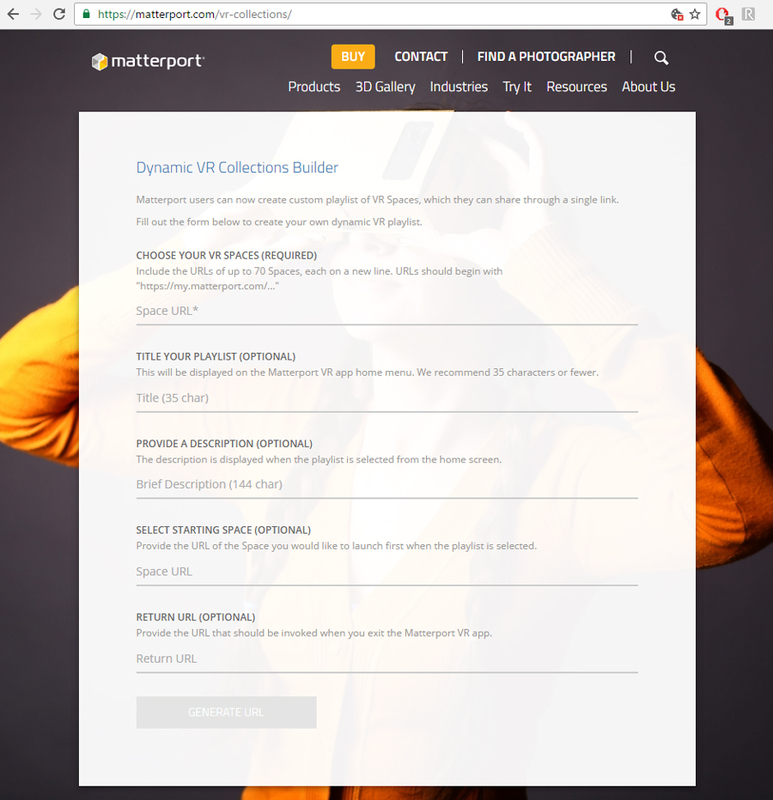 You could… However, there is a better way: Matterport VR Collections. Matterport VR Collections are a simple way to share multiple VR Spaces with your clients using a single link or QR code. By scanning the QR code, or clicking the link, you can access up to 70* Spaces! *While this is the maximum number of Spaces allowed in a collection, we have not fully tested that many spaces at one time. As a user, it may be difficult or time consuming to flip through 10 pages of Spaces; so use with caution. A Matterport VR Collection works in much of the same way as a traditional Matterport VR link or QR code. You can use them to impress current and future clients to build a complete and curated VR experience. Clicking on the VR Collections link from your phone or scanning the VR Collection QR code will launch our Matterport VR app and bring you into the VR Collection About Panel. Hold the gaze cursor over the Launch button to enter into the VR Collection and see the Spaces that are a part of the VR Collection. Spaces in a VR Collection are displayed in groups of seven. If you have more than seven ,use the left and right arrow buttons to flip through the different pages. Beyond that, a Matterport VR Collection link works differently than a standard Matterport VR link. 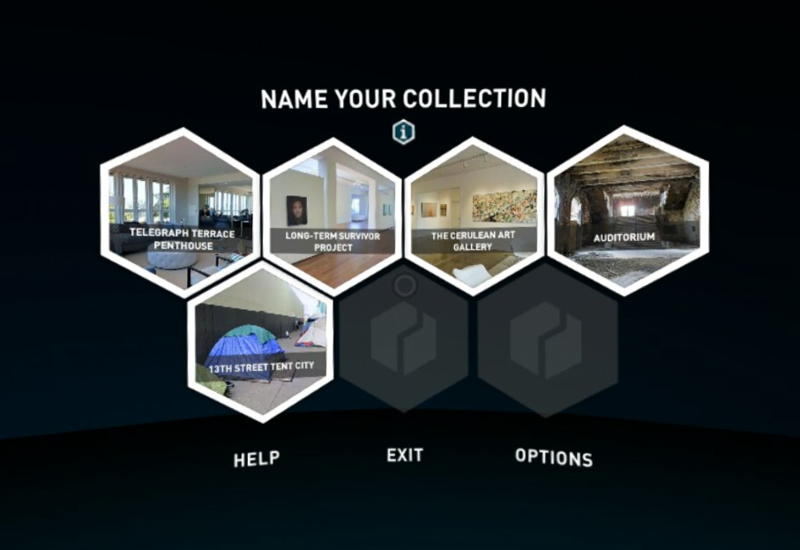 When you use a VR Collection to launch our Matterport VR app, the app will hide any other Spaces you have already downloaded, including Gallery Spaces, and only show the Spaces that are a part of the VR Collection. This can be extremely useful for trade shows or other presentations! By launching the app using a VR Collection you can ensure that users are only able to view the Spaces you want them to. They cannot view other content they may have previously downloaded, allowing you to organize their experience as you see fit. In order to access the other content again, they simply need to completely close (not just switch out and then back in) and then restart the Matterport VR app. Additionally, unlike a traditional VR link, VR Collections do not automatically download all of the Spaces in the Collection. Instead your viewers can pick and chose which Spaces they want to download making the experience more customized. If they do want to download a large number of Spaces, they can queue up as many as they would like and they will download one at a time as long as the Matterport VR app is active. Spaces downloaded using a VR Collection will not appear in your “Shared With Me” folder. If you open and explore the Space in VR, it will appear in your “Recently Viewed” folder. But in order to have access to the Spaces in VR Collections that were downloaded but not viewed, you will need to relaunch the Matterport VR app using the same VR Collection link or QR code. In future versions of the Matterport VR app, we are looking to include a way of saving VR Collections within the app so you can access them again without clicking on the link or scanning a QR code. This functionality is currently still in development. To help with creating a Matterport VR Collection, we have created a simple web tool that can be found at: https://matterport.com/vr-collections/. It’s a simple copy-paste process that anyone can master easily. Start by first copying and pasting the sharable 3D Showcase or VR Link for each Space you want to add to the VR Collection into the top “Space URL” field (each on a new line). You can find this link on the Space Detail Page in the Sharing section. The Space must be set to Public. Next, you can give your VR Collection a title and short description. It could be something related to the type of Spaces, the area they are in, or even the client you are sending them to. For best viewing, we recommend keeping the title under 35 characters in length. There is a hard limit of 144 characters for the description. Both the VR Collection Title and Description are optional. 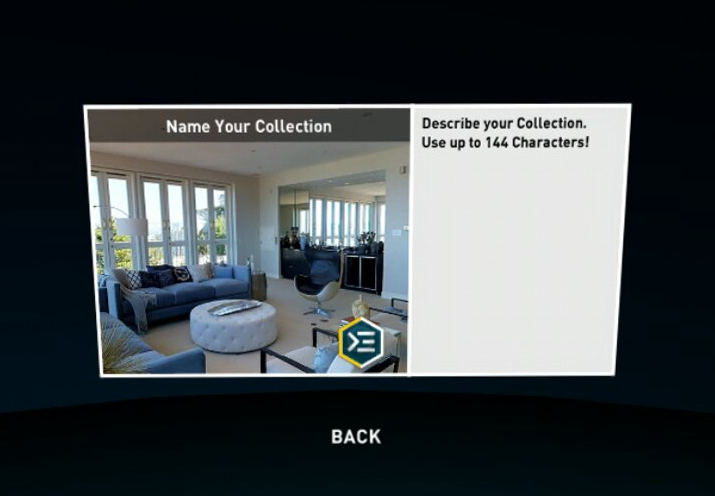 You can build a VR Collection without using either if you choose. Once you have these basic fields filled out, you can click the “Generate URL” button at the bottom of the tool to create your VR Collection. This will generate both a text URL link that you can embed into your own website and a QR code that can be easily given to clients to scan or added to promotional materials. Click the “Download” button to save the QR code to your computer. In addition to adding a title and short description to your VR Collection, there are a couple of advanced options that you can use to further customize your VR Collection experience. The first advanced option is “Select Starting Space”. NormallySpaces in a VR Collection will not automatically download. With the “Select Starting Space” field, however, this one Space will download automatically when you first launch the VR Collection. The hero image for this Space will also be used as the hero image for the VRCollection. This can be a great way to draw attention to a specific Space. Another great use of the “Select Starting Space” is to create a VR Collection that only has a single Space inside of it that will download automatically. This way, when the end user clicks the VR Collection link or scans the VR Collection QR code, it will hide the rest of the content in the app and only show the one Space you want them to see. Lastly, you have the option of adding a “Return URL” to your VR Collection. 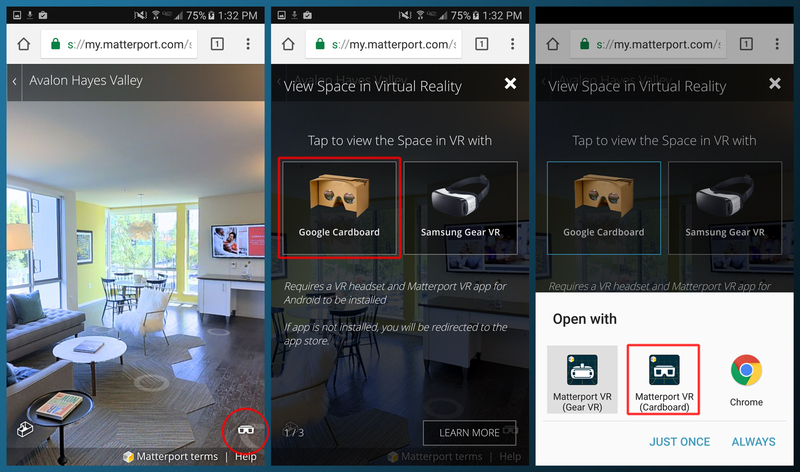 With a Return URL, if the user opens the VR Collection from a web page (by clicking on the VR Collection link for example), when they close the Matterport VR app, they will be redirected back to the Return URL. Sharing your VR Collections is fast and easy. Simply add your Spaces, add a Title and Description, any other Advanced Setting you wish to use, and Generate.